Equine dentistry is an essential and important part of the health care of your horse. Your horse’s teeth should be examined at least once a year. In some individuals, particularly for those with dental abnormalities, dental work may be required more frequently. 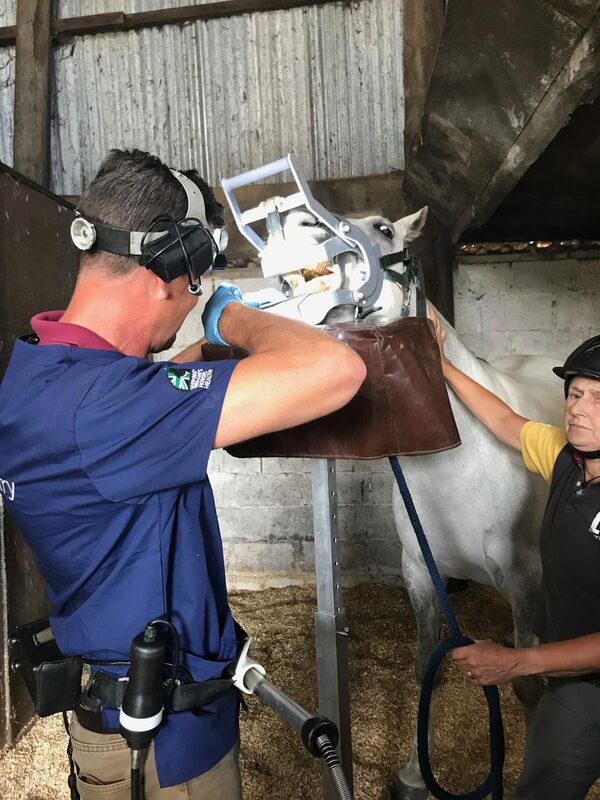 As qualified veterinary surgeons we are able to provide sedation, pain relief and local anaesthesia as required during equine dentistry work, allowing a more thorough examination and treatment and less pain and stress to your horse. This can also be safer for the horse, veterinary surgeon and the handler. All horses should receive routine dental care at least once a year to prevent sharp enamel points forming which can cause trauma to the soft tissues of the mouth. At Torch Equine Vets, we provide routine equine dentistry to a large number of regular patients and have the skills, knowledge and facilities to deal with dental abnormalities when they occur. Why is routine equine dentistry essential? During the course of evolution, horses’ teeth have adapted to chew grass and fibre, but in doing so the teeth wear down at a rate of 2 to 3mm per year.  This wear is balanced by eruption at an equal rate, until the horse reaches its mid to late twenties, when all of the reserve crown will have erupted and the teeth begin to fall out. The lower jaw of a horse is narrower than the upper jaw. When a horse grazes at pasture, the natural circular action required to eat grass brings the chewing surface of the opposing teeth into contact and the teeth wear down evenly. When a horse eats hay or hard feed, the horse does not need the same circular action to chew these ‘softer’ feeds and the result is that the outer edges of the top molars and the inner edges of the lower molars do not come into contact and don’t wear down. The end result is sharp enamel edges that cause ulceration and pain. Centuries of cross breeding horses with differing head sizes has made dental abnormalities, such as hooks, overcrowding and abnormally positioned teeth very common. If a tooth is even partially unopposed then large overgrowths will quickly form, causing pain and impeding chewing. Compounding these problems, we then put our horses in a bit and bridle which can press against sharp teeth and can cause cheek and tongue lacerations and ulceration. To work on the bit in an outline, the horse must drop the lower jaw forward. Overgrown teeth will restrict this movement of the lower jaw, causing pain and resentment. How can you recognise dental problems? How often should your horse’s teeth be checked? Birth – 18 months Check for alignment. Deciduous (baby) teeth can get sharp enamel points too. 18 months – 4 years During this time all deciduous teeth (caps) are lost and 36-44 permanent teeth erupt. Routine dental care is essential during this time. Before putting a bit in the horse, the teeth must be examined and any wolf teeth assessed for potential interference. We recommend your horse’s mouth is examined at least once a year. The interval for inspection and treatment will vary between individuals and the problem presented. Please ask your vet to check your horse’s teeth as part of its annual vaccination and check up. The provision of outstanding veterinary care and excellent customer service lies at the heart of what we do. Thanks to our five convenient locations we cover large parts of the south-west. Our reach is wide but our focus remains on the offering the highest clinical standards and customer service to our highly valued clients.